At Taggart, we help you control the costs. your business and your employees. Most business owners assume costs can’t be controlled. In reality, you have significant control over this insurance expense… if you know what to do. The Taggart Insurance Navigator Program offers a proactive strategy for the prevention, management and financing of workplace injuries. We’ll identify flaws in current coverage and offer long-term solutions for keeping your Workers’ Compensation costs down through effective claims management and safety program development. Workers’ Compensation Insurance is a type of business liability insurance that was created to help both employees and employers recover from workplace injuries and illnesses. It protects employers from costly lawsuits, while also giving employees peace of mind that they are guaranteed some coverage in case of illness or injury on the job. 2. Recovery costs, including medication and rehabilitation if required. Keeping employees safe on the job is your responsibility, but accidents do happen. To learn more about Workers’ Comp Insurance, continue reading. Learn how Taggart Can Protect Your Business. If your company’s loss experience is more costly than the industry average, the result is a debit e-mod, or surcharge on premiums. If your company’s experience is less costly than the industry average, you will receive a credit e-mod, or discount, on your premium. It’s a complex calculation that insurance providers rarely double-check (but we do). Understanding the e-mod is the most effective way to assess the effectiveness of your loss prevention efforts. It’s also the best way to minimize Workers’ Compensation premiums. Taggart’s expert advisors deliver quick turnaround times and 24/7 support, but you need more than the basics. 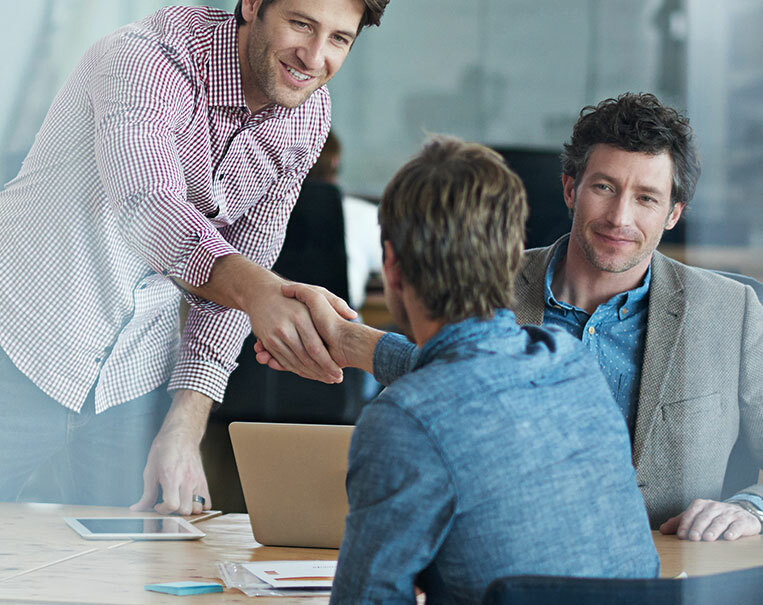 Choosing an insurance advisor is as important as selecting any other partner in your success. Whether you need to start a new policy or transfer your current program to a new provider, Taggart’s team takes care of the heavy lifting to save you time and money. HOW DO WE DO THE HEAVY LIFTING? Through our Work Comp Navigator Program. In short, certain business decisions can reduce your premiums. We have data to help you make those choices. 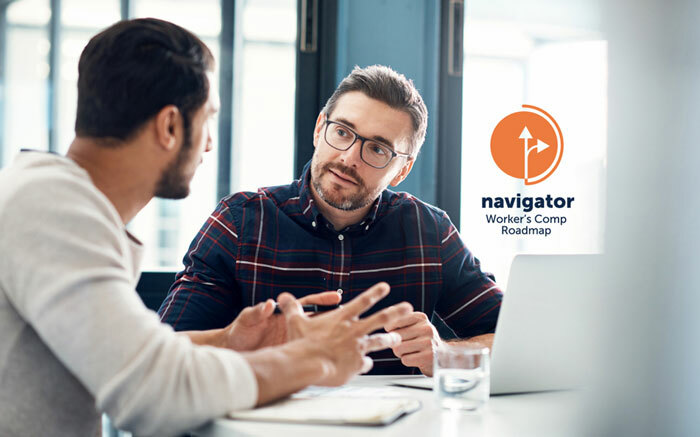 Most providers don’t offer a service like Navigator, but it’s the most effective way to avoid overpayments, costly litigation, and uncontrolled medical costs. Keep scrolling to learn more about the benefits. You’ll receive support for managing injured workers, including assistance with managing all of the necessary paperwork. Taggart’s team will also walk you through what the employee needs to do and what your obligations are. The evidence is clear: the longer a claim stays open, the more it costs. With our step-by-step resources and comprehensive guides, you’ll learn how to implement a robust return to work program that provides quality care and facilitates quick recoveries. Creating a robust safety program requires strategy, know-how, and some number crunching. We’ll demystify the process behind creating a Workers’ Compensation cost allocation program, investigate near-miss incidents to prevent future accidents, develop a risk control service plan based on your Workers’ Compensation losses, and more. Consumers trust businesses with a BBB Accreditation Seal. The Safety Group Program also gives you discounts on Workers’ Compensation premiums, risk management training (online or in-person), eligibility for a group program dividend, and improved risk management and loss control. When a claim is made, do you know what to do next? Your Taggart advisor takes the headache out of the post-claims process. As we work together, you’ll even learn how to practice proactive disability management to help control premium costs and deter fraudulent activities. This calculation is performed by the insurance provider, using a business’s claims history. It’s very complicated, often misunderstood, and can easily be incorrect. We verify every calculation and contest the findings for you when needed. $500? $1,000? How do you know what deductible makes the most financial sense? Taggart’s team identifies the happy medium so that you know, with certainty, which deductible to choose. When an injured employee taps into the Workers’ Comp plan, FMLA (Family Medical Leave) or COBRA (a federal plan that allows for continuation of employer-sponsored health coverage) will be initiated. It’s a tricky process, and we’ll make sure it’s done right. From customizable, industry-specific safety manual templates to comprehensive audit support, Taggart clients have access to a variety of tools that make managing your Workers’ Comp program easier. You’ll receive employee safety materials to help increase employee engagement with workplace safety initiatives. We can provide industry-specific flyers, bulletins, worker safety manuals, and more to keep safety top of mind. Taggart even offers assistance with pre-employment screening, coordinating physicals with job offers, and post injury drug testing. Whether you’re protecting employees and your business in Colorado or elsewhere in the U.S., we invite you to experience the Taggart difference firsthand. Is your business protected? Contact us today for an analysis of your business risk.